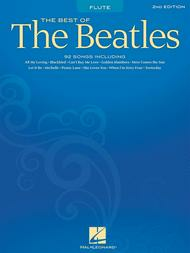 Best of the Beatles arranged by John Moss. For Concert Band (Score & Parts). Discovery Plus Concert Band. Grade 2. Score and parts. Published by Hal Leonard (HL.8724962).Grade 2The music of John Lennon and Paul McCartney never grows old. John Moss has taken three classics by The Beatles and created a joyful medley for young players. Including Ticket to Ride, Hey Jude and Get Back, this is music that speaks to all generations! Dur: 4:45. Best Of The Beatles (Flute). By The Beatles. For Flute (Flute). Chart. Classic Rock, Britpop and Psychedelic Rock. Difficulty: medium. Solo Songbook. Solo part. 96 pages. 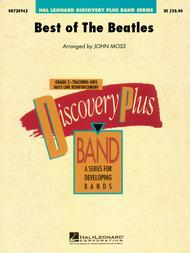 Published by Hal Leonard (HL.847217).ISBN 0793521424. With solo part. Classic Rock, Britpop and Psychedelic Rock. 9x12 inches.89 of the greatest songs from the legends of Liverpool, including: All You Need Is Love * And I Love Her * The Fool on the Hill * Got to Get You Into My Life * Here, There, and Everywhere * Let It Be * Norwegian Wood * Something * Ticket to Ride * and more.